March 12, 2015 (Phoenix) — Chris Kline has been named news director at ABC15, where he will oversee all cross-platform story gathering. In his new position, Kline will lead the newsroom to distribute stories across both television and digital channels to better serve Arizona communities and meet changing audience habits. 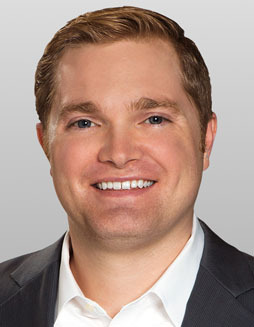 For the past three years, Kline has served as director of new media at ABC15, managing the station’s growing digital strategy. He’s also served as an executive producer, web producer and reporter during his eight-year tenure at the station. Before joining ABC15, Kline worked as a convergence journalist for the Arizona Republic and at CNN’s Crossfire in Washington, D.C. He’s also been an adjunct faculty member at Arizona State University’s Walter Cronkite School of Journalism. Kline, who is an Arizona native, received his Bachelor’s Degree in Journalism from The George Washington University in Washington, D.C. He moves into the news director role effective immediately. In related news, Danielle Lerner has been promoted to co-anchor of ABC15 Mornings. She is an award-winning journalist who has been with ABC15 since the fall of 2014 as a weekend anchor and reporter. “She has been anchoring on a temporary basis with the ABC15 Mornings crew for the past few months and the response to the team has been terrific,” said Anita Helt, vice-president and general manager at ABC15. Lerner has studied and worked in five different states stretching from Washington, D.C., to California. Before joining ABC15, Lerner was most recently a morning anchor at KVOA-TV in Tucson. She also worked at KSBY-TV in San Luis Obispo, Calif.
Lerner grew up in Phoenix and is a graduate of Chaparral High School. She attended Saint Mary’s College in South Bend and received her Master’s Degree in Broadcast Journalism from Northwestern University Medill School of Journalism. This entry was posted in Journalism News and tagged ABC15, journalism, journalism news, journaliststs by Valley of the Sun SPJ. Bookmark the permalink.